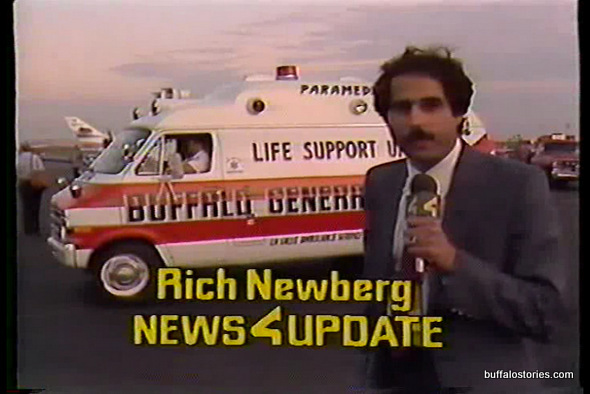 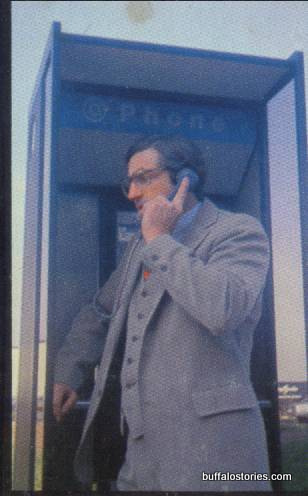 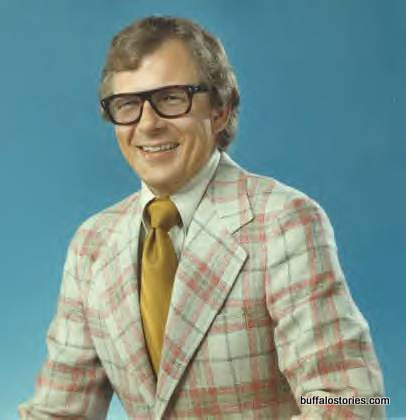 With Anchorman 2 hitting theatres on December 18th, it’s only fitting that we take a look back at the men and women who wore those styles and looked good on Buffalo TV in the 70s and 80s. 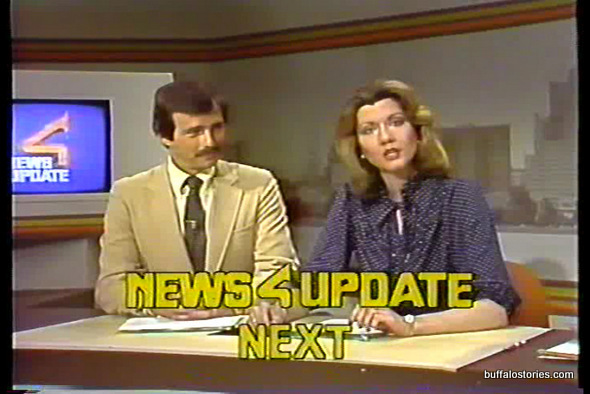 Irv Weinstein, Rick Azar, Don Postles, and Tom Jolls… The wide-tied Eyewitness News team c. 1980. 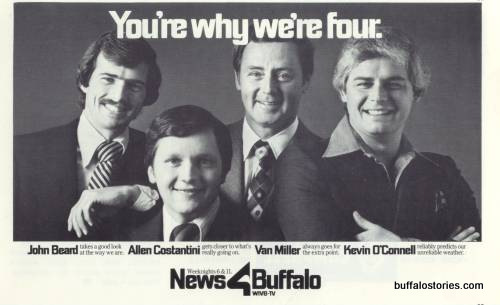 John Beard, Allen Costantini, Van Miller, Kevin O’Connell. 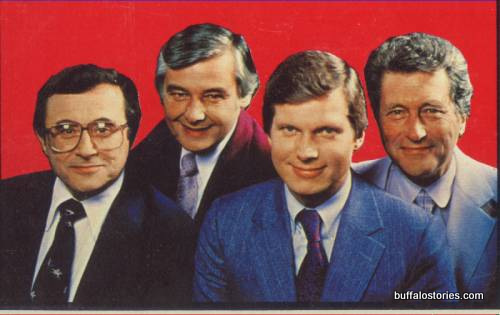 The hip dudes of Channel 4 in the late 70s. 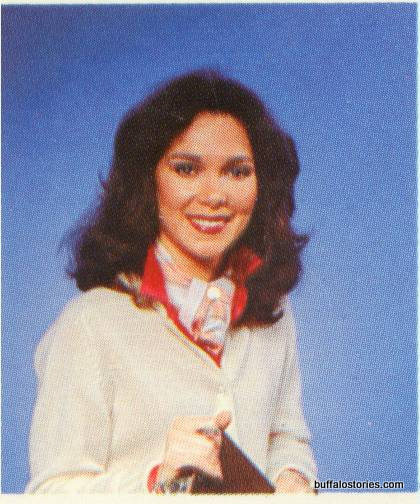 Maria Genero is one of a vaunted few– She’s worked at 2,4, & 7. 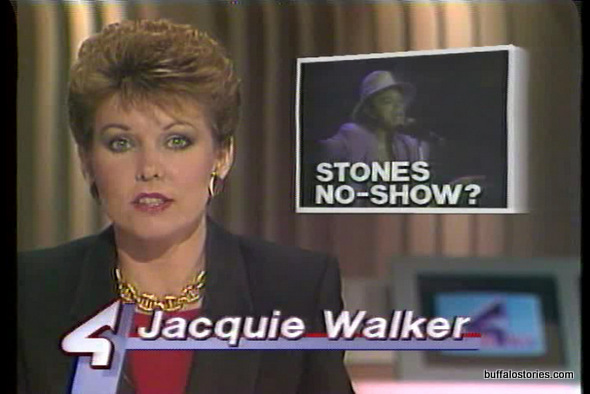 She did weather on Channel 4 in the mid 80s. 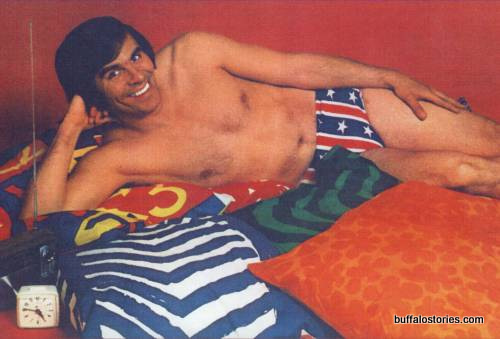 Here’s beefcake Danny Neaverth in 1973. 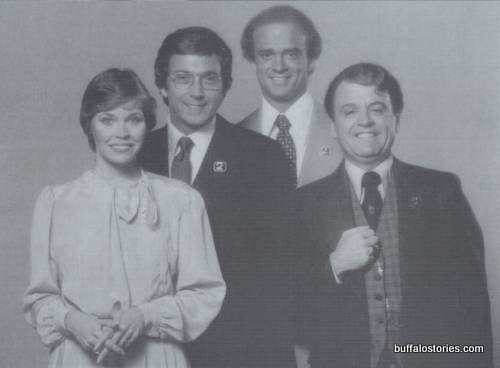 Aside from mornings on WKBW and later WHTT, Danny did the weather outside on Channel 7’s noon news, and later did weather and hosted “Nearly Noon” on Channel 2. 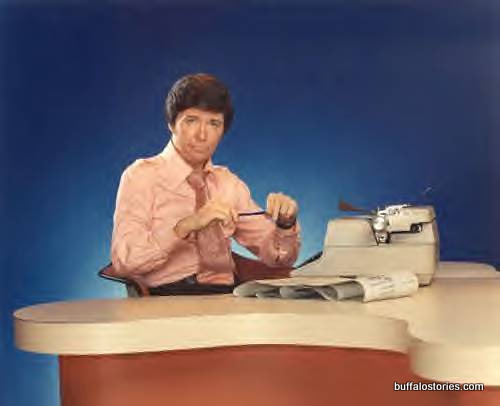 The legendary Ron Hunter, WGR-TV news anchor for several years in the mid 70s. 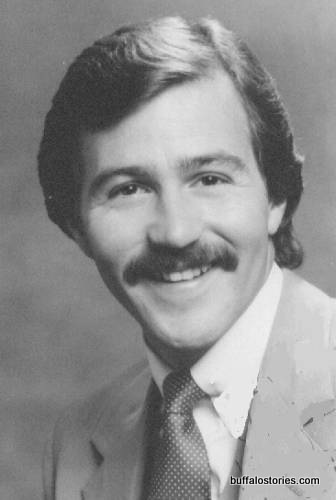 One of the writers of the original Anchorman movie once cited Hunter, who moved on from Buffalo to Chicago, as an inspiration. 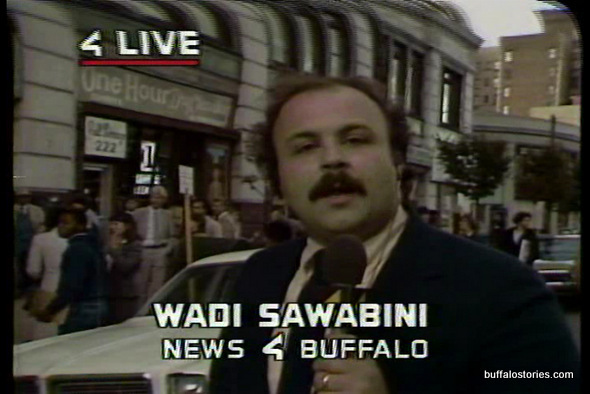 Wadi Sawabini outside a jewelry store holdup. 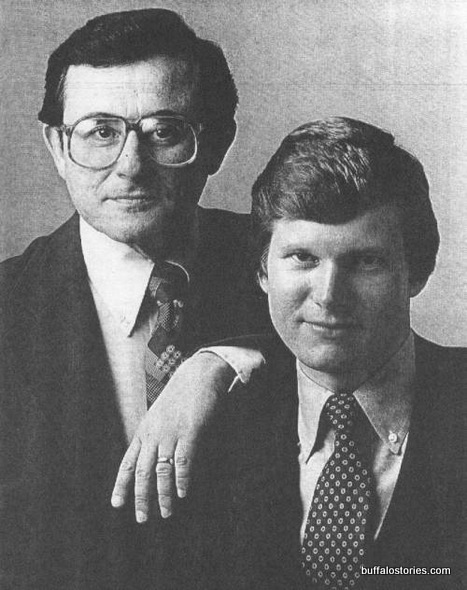 Irv Weinstein and Don Postles. 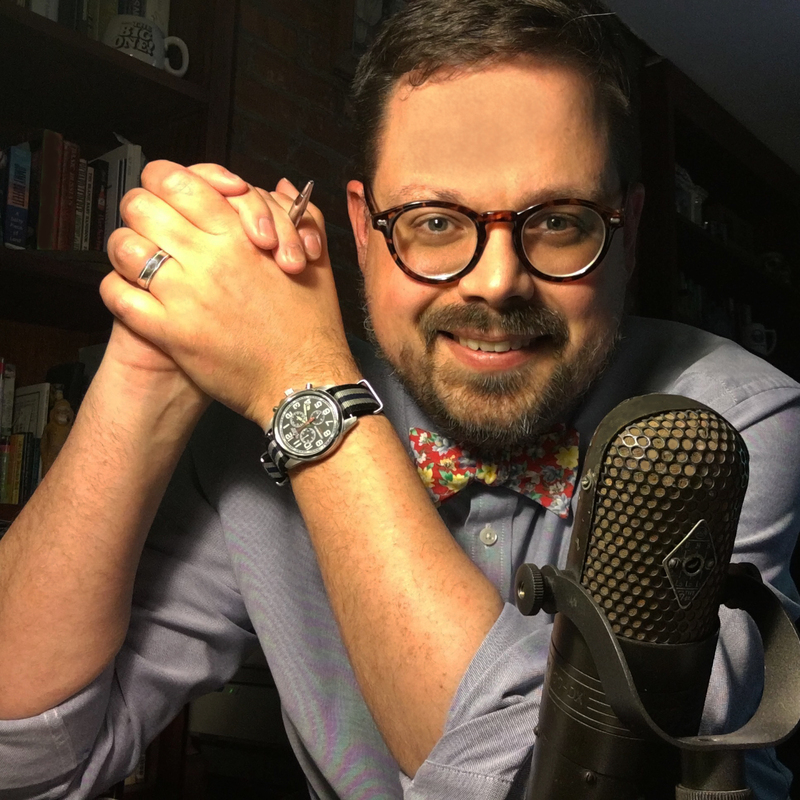 Engagement photo?